Just like the Daily (my previous post), I also discovered Martha Lou’s Kitchen from a fellow Instagrammer. Really hard to miss, the bright pink and colourful exterior is located in the middle of an industrial neighborhood just north of Charleston’s historic downtown area. Literally sitting on the side of the road with the railway behind it, the restaurant only has seven tables in total. We arrived just after the lunch rush and we had to wait 15 minutes for a table to become free – well worth it for what we had in store. The host, which I gather is related to Martha, was so friendly and inviting….even breaking into song a few times during our meal. But what kills me the most about this place is it has ruined fried chicken for me for LIFE. Moist and tender meat with a perfectly crispy exterior (notice the coating isn’t burnt), it was made and fried to order – all served on a TV dinner style styrofoam plate. I ordered collard greens, because how can you not when in the south, cornbread and baked macaroni. The baked macaroni was interesting, not made with cheese but gravy. Then there was dessert. I struggled to finish my fried chicken but couldn’t make a dent in my sides so for dessert, I really only wanted a couple of bites just to taste. 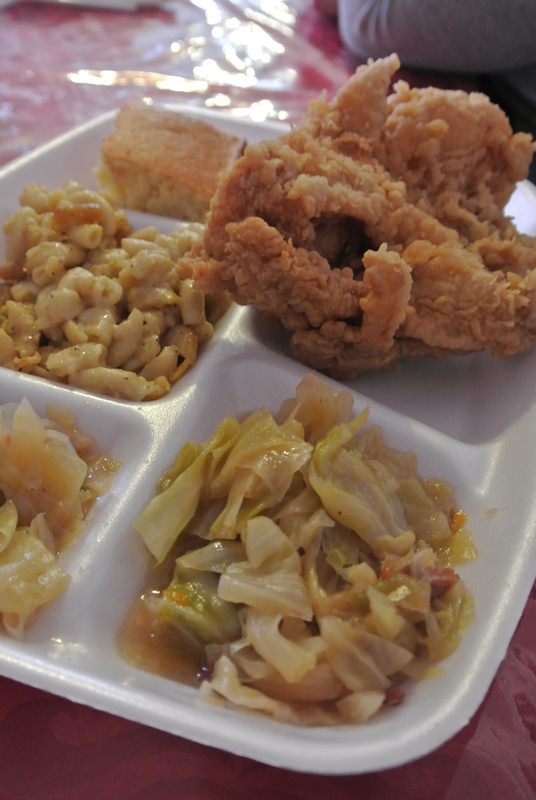 But the reaction from Martha Lou when I asked for a “small portion” was amazing, in a very serious tone she flat out said “no” – its all or nothing. 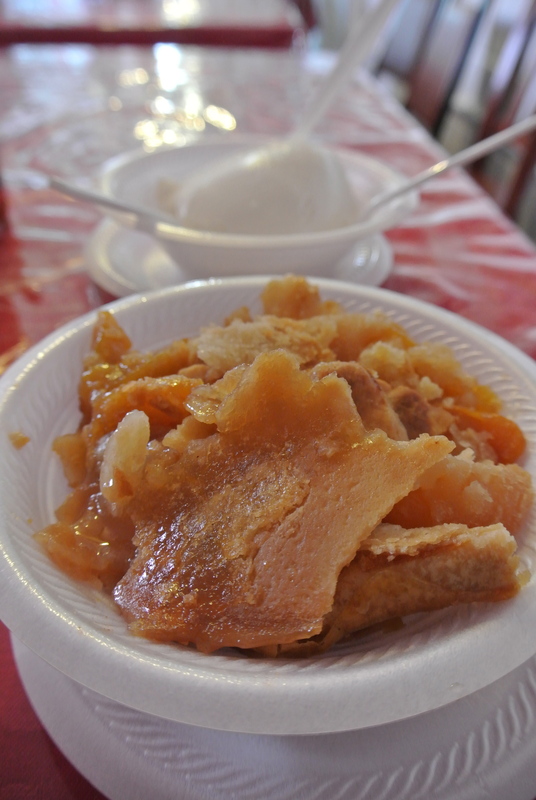 And the dessert of the day was peach cobbler. Made with homemade pastry, served warm with a scoop of vanilla ice cream on the side. 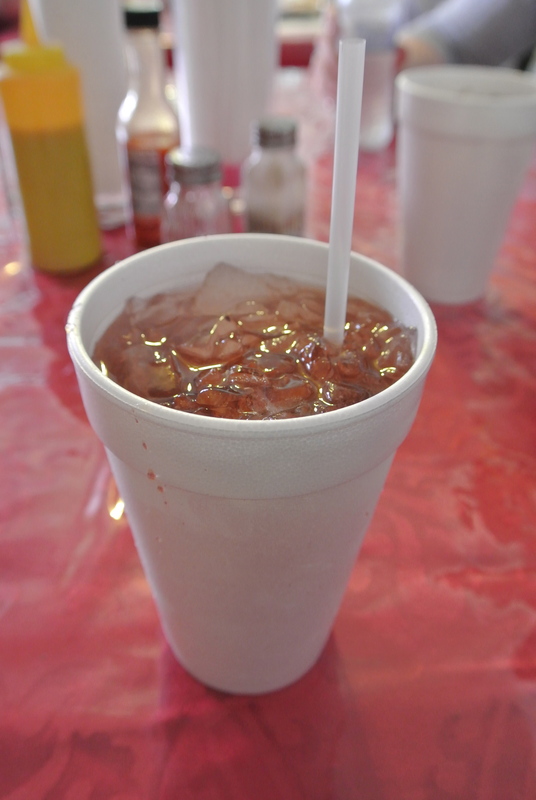 A perfect way to end the perfect fried chicken meal! 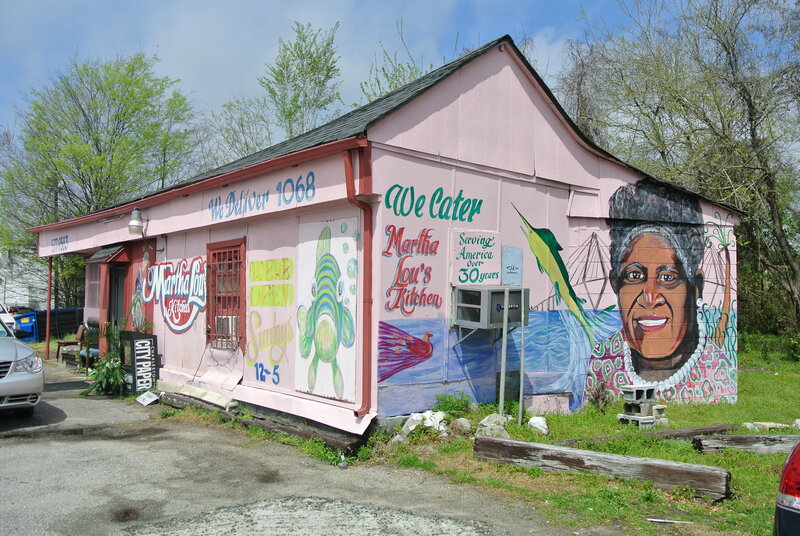 Martha Lou’s Kitchen located just north of downtown Charleston, South Carolina. 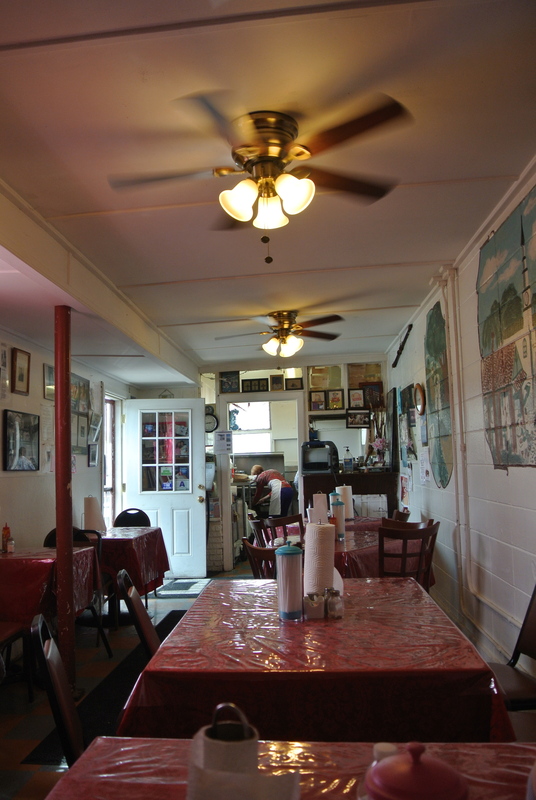 Inside the Martha Lou’s Kitchen. There are only 6 tables in the entire restaurant. 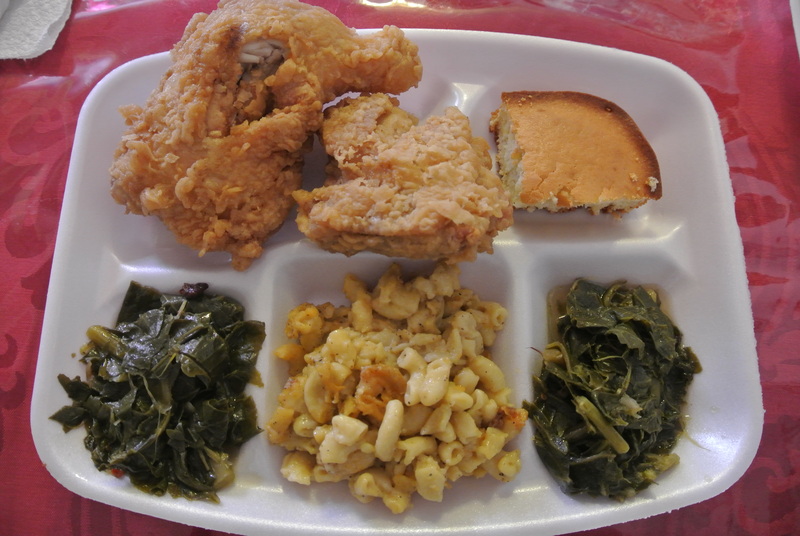 All for $12 US, my lunch order – fried chicken, baked macaroni, collard greens and cornbread. 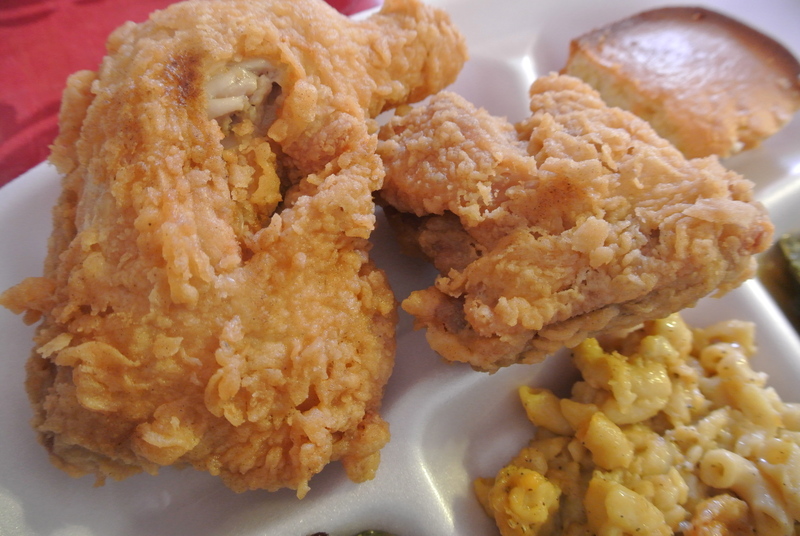 A close up of the delicious fried chicken thigh, drumstick and wing. Another available side, braised cabbage with bacon. And for dessert, peach cobbler with vanilla ice cream.